Dr. Paavo Airola, N.D., PhD: How to Keep Slim, Healthy and Young with Juice Fasting: The Age Old Way to a New You! (Health Plus Publishers, Oregon 1990). First published in 1971. "Let me be your guide to a modern, scientific, health-restoring and rejuvenating miracle of juice fasting! Juice fasting not only accomplishes a physiological regeneration and revitalization of your body, but has a profound stimulating effect on your mind and mental facilities. It stimulates and sharpens mental and aesthetic perception and increases your spiritual awareness." This is more of a summary and a collection of quotes from Dr. Paavo Airola's book, than a review. It is a concise, easy-to-read book full of useful information. Although the language comes across a little old, and perhaps some advise has been updated (e.g. juicing of raw potatoes is not recommended anymore! ), this book is nevertheless a very useful and thorough guidebook on how to fast at home. 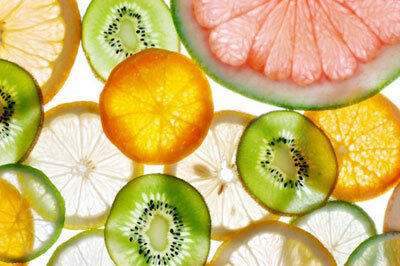 - "Rejuvenating, reducing and healing power of juices. - What juices to use for specific conditions"
"Juice fasting" is a short book, 77 pages, but very inspiring and useful. The text comes across a little old-fashioned but on the other hand I sometimes like reading older books because often they seem a bit less corrupted by financial interests than some contemporary writing. "Contrary to the popular notion, you don't get weakened or depleted by fasting; the opposite is true, particularly if you employ a juice fast. After juice fasting you will feel stronger and revitalized; your health condition will be markedly improved, your physical and mental working capacity will be increased. You not only will feel revitalized but also will look younger than before fasting. And this is not only because of lost pounds, but mostly because the fasting has such a profound rejuvenating effect on the functions of all the vital organs, including the functions of the all-important endocrine glands, which are so decidedly responsible for how young or how old you will feel and look." Although the above seems life a lofty explanation of such a simple thing as a juice fast, I can say that from my own experience this is absolutely true. To put it in less abstract and religious terms, I felt much more happy, my heart was more at ease and I felt that my mind would come up with many inspiring thoughts when I took a moment to relax and hear my own thoughts. I also often (not all the time) noticed an 'enhanced' beauty of my surroundings. I would like to comment here that following forums about fasting, I have noticed that some people experience prolonged and difficult detox symptoms as well as emotional problems, such as sadness and anger. Apart from possible emotional detox, which should, in my opinion, be fairly short-lived (not more than a day), I suspect that people who experienced these complications in their fasts were not taking enemas/ colonics and/ or perhaps included strong superfoods or supplements in the fast. I've heard of many who successfully include chlorella, spirulina and wheatgrass in their fasting juices but with many other superfoods I would recommend caution - and with all of them moderation. I know of at least two people who took superfoods while juice fasting... the first person started getting very angry, and the second became very sad. Both decided to quit the fast prematurely. I do believe, however, that following Dr. Paavo Airola's advise it is possible for most people to feel good on a juice fast. Exceptions might be those with underlying illnesses and conditions, or those with allergies/ food sensitivities to some of the ingredients in the juices. "1. During a prolonged fast (after the first three days), your body will live on its own substance. When it is deprived of the needed nutrition, particularly of the proteins and fats, your body will burn and digest its own tissues by the process of autolysis, or self-digestion. [...] ... your body will first decompose and burn those cells and tissues which are diseased, damaged, aged or dead. In fasting, your body feeds itself on the most impure and inferior materials, such as dead cells and morbid accumulations, tumors, abcesses, damaged tissues, fat deposits, etc." "During the famous Swedish fast marches it was observed that the protein level of the blood (serum albumin reading) of fasting people remained constant and normal throughout the fasting period, in spite of the fact that no protein was consumed. The reason for this is that the proteins in your body are in a dynamic state; that is, they are changed from one state to another, being decomposed and resynthesized constantly and re-used for various needs within the body. Amino acids, the building blocks of proteins, are not wasted, but are released from the decomposed cells and used again in the new-building of young, vital cells. (...) During fasting, the proteins needed for the new cell buildings are resynthesized from the decomposed cells." "Dr. Karl-Otto Aly, M.D., one of the leading biologically-oriented doctors in Sweden, and one fo the participants of the fast marches, said: 'The march clearly showed that man can live for an extended period of time without food, even accomplish a hard physical effort while fasting... The general expressed feeling among participants was that they felt stronger and had more vigor and vitality after the fast than before it...'"
"If you fast according to the recommendations of this book on fresh fruit and vegetable juices and vegetable broth, plenty of exercise and daily enemas you are well protected from any real danger in this respect [in the respect of DDT, an insecticide, poisoning]." Thank you Caribbean-guide.info for the image. In addition to these, Dr. Paavo Airola's 'How to Keep Slim, Healthy and Young with Juice Fasting' contains, among other things, short instructions on how to prepare for fast, how to break a fast, how to take an enema, how to prepare potassium-rich vegetable broth, and recommended juices for specific conditions, e.g. carrot, tomato, celery and cabbage juice for stomach ulcers; and lemon, comfrey, garlic and horse radish juices for asthma. "I have supervised both types of fasting and am thoroughly convinced of the superiority of juice fasting. Dr. Otto H. F. Buchinger, who has supervised more fasts than any other doctor (over 80,000 fasts), employs only juice fasting. He told me that, in his experience, fasting on the fresh raw juices of fruits and vegetables, plus vegetable broths and herb teas, results in much faster recovery from disease and more effective cleansing and rejuvenation of the tissues than does the traditional water fast." "During fasting the body burns up and excretes huge amounts of accumulated wastes. We can help this cleansing process by drinking alkaline juices instead of water while fasting." - Dr. Ragnar Berg, as quoted by Paavo Airola on page 40. "The proponents of water fasting like to tell you that the juice fast is not a fast, it is a liquid diet. They misunderstand the therapeutic meaning of fasting. Any condition when your body is encouraged to initiate the process of autolysis, or self-digestion, is fasting. During juice fasting, when no solid foods, proteins or fats are consumed, your body will decompose and burn all the diseased and inferior protein and fat tissues, just as it does during a water fast. 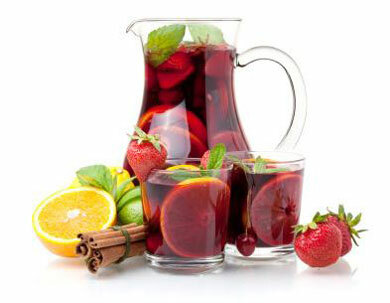 Juices are absorbed directly into the bloodstream without the usual process of digestion." "I have studied various methods of fasting for several decades in several countries. My early teachers were two famous Swedish health pioneers Are Waerland and Ragnar Berg. I also studied fasting in Swedish clinics, especially those operated by Dr. Jern Hamberg and Dr. Lars-Eric Essen. Later, I visited famous fasting clinics in Germany and studied modern fasting methods with such giants of biological healing as Dr. H.F. Buchinger, Jr., Professor Werner Zabel, and many others. Dr. Otto H.F. Buchinger, Jr., M.D., is, perhaps, the greatest authority on fasting in the world."